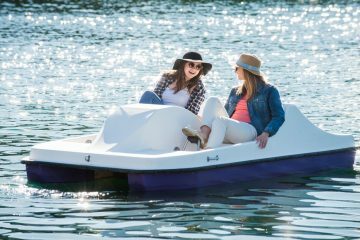 Relax and unwind, enjoying nature, breathing in the fresh air as you explore the lake for some fun and adventure in your paddle boat! 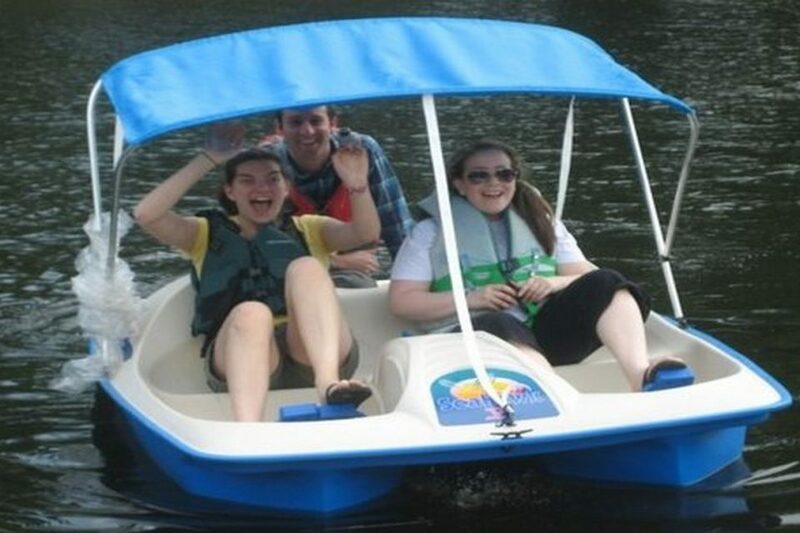 What makes Paddle Boats so popular? 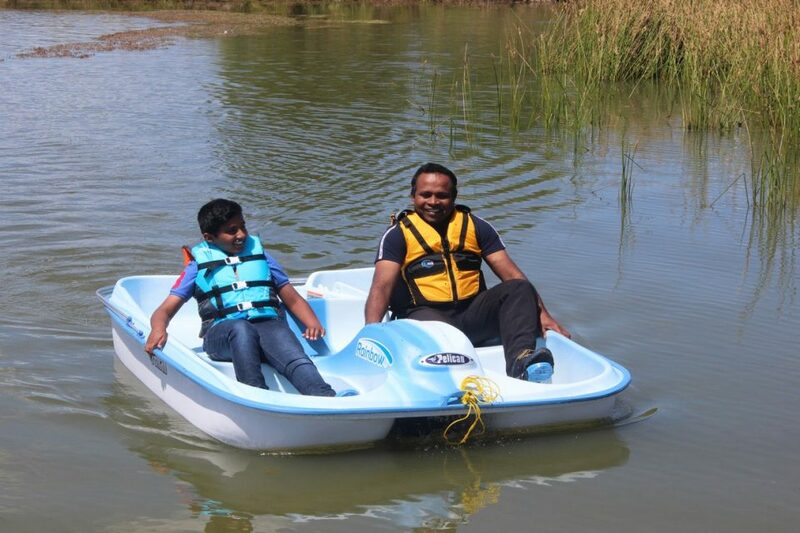 Paddle Boating is the perfect remedy to relieve the stresses that go with the hustle and bustle of city living. Once in your boat you can take a leisurely paddle around the lake or estuary and enjoy nature whilst you breath in the fresh air whilst enjoying the company of your friends or partner! Arh the serenity of it all! Alternatively bring your whole family along for a bonding activity like no other. Nothing can compare to watching the little ones giggle and laugh while they’re splashing as the paddle boat moves. If you’re looking for a way to spend time with your partner or family; or you just want to get away from the city for a while, come and try the Paddle Boats or anyone of our other fantastic activities we have on offer! Opal Cove Resort in Coffs Harbour NSW. We are open to the public so come on out and paddle around the lake and estuary. It’s right next to the beach and is an amazing experience! Then chill out at the resort, grab a drink or you can enjoy a round of Putt Putt Golf or a Segway Tour or Walk on Water in an Ozbobble plus more! Q: DO YOU SUPPLY LIFE JACKETS? Yes we have a selection of children, teenager and adult life jackets. Each person is required to wear a life jacket to participate in this activity. Q: HOW MANY PEOPLE CAN RIDE IN THE BOAT? We allow a maximum of 3 people per boat. You are responsible for the boat whilst it is in your possession. Therefore if you damage it, you will be required to provide a $750 security deposit by way of credit card. This money will be retained until such time as we can get a quote for the damages. Once we know the full costs, you will be required to pay these within 7 days. Q: WHAT TIME DO I NEED TO GET THERE FOR SESSION? If you could arrive 10 minutes early for your session to fill out the necessary paperwork as each participant will need to sign an liability waiver form and anyone under 18 in the boat will neeed a parent or guardian to sign on their behalf. Please refer to the Terms & Conditions tab on the booking form where we explain in detail our REFUND and CANCELLATION Policy. We recommend a minimum age of 3 who must be accompanied by an adult in the boat. 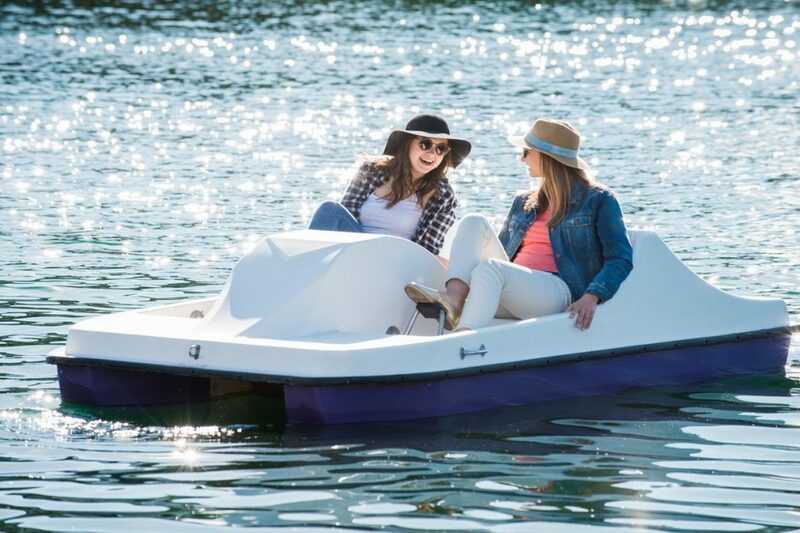 Paddle Boats: Now playing at a venue near you!